Those ridiculous-miraculous-awesome-awful Vibrams shoes are growing up over the bodies of their fanboys like a symbiotic organism. 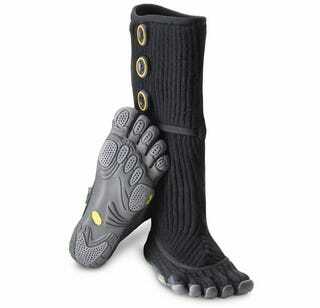 Their cold-weather boots—FiveFingers Cervinia—now reach half up your leg. I can't wait for them to create a full-body Dune stillsuit.